Ellen Island Camp was established in 1945 by Charlie Wheeldon and his wife Ellen, from which the island got its name. 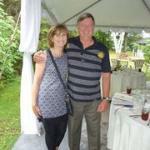 Charlie’s youngest son, Gerry ran the island for many years before handing the reigns over to the current owners, Gerry’s brother and sister in law, Jeff and Jane Landriault. 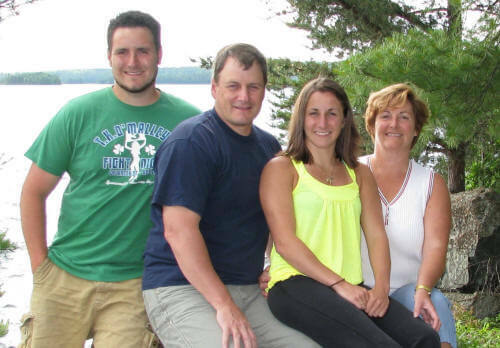 Jeff and Jane and their children Brandon and Jodi, along with several friends and relatives, have made many changes to the island since its beginning in 1945 and today the island continues to provide guests with memories of a lifetime along with comfortable accommodations with all the comforts of home in the same pristine Northern Ontario Wilderness. 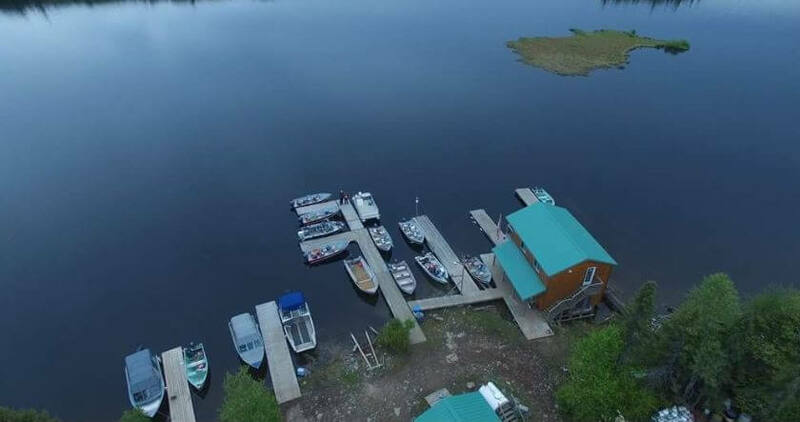 Ellen Island Camp is a remote fishing lodge located on the beautiful unspoiled waters of Lady Evelyn Lake. 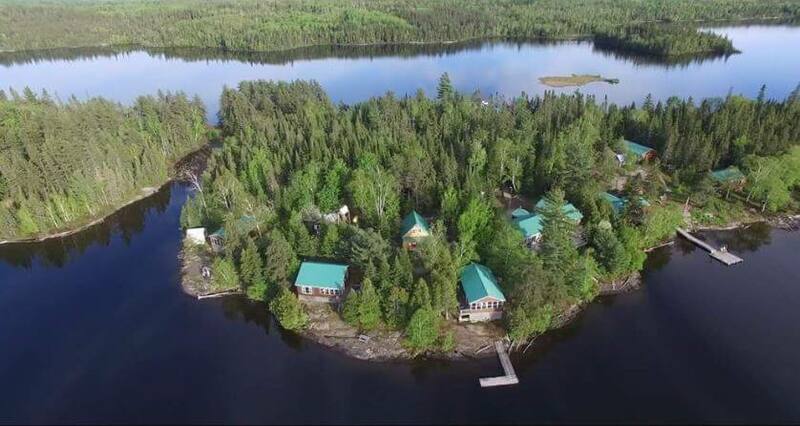 Our quiet retreat is on a 17 acre island with no road access to the lake. Located two hours north of North Bay, the lake is well known for its clean water and abundance of Walleye, Pike and Small Mouth Bass Fishing. For an added adventure hike into one of our catch and release back lakes where we have a boat waiting for you to try some great Small Mouth Bass, Lake Trout or Pike fishing. Experience some of the most beautiful sunsets in the world right from your front porch with the sun setting over Maple Mountain on the horizon. Come and experience our little bit of heaven on earth and see why most of our guests continue to return year after year to relax, unwind, build memories, enjoy great fishing, and breathe the fresh northern air. Ellen Island Camp prides itself on its customer service and its large cozy comfortable cottages. This unique wilderness setting will provide you with all the comforts of home for your next fishing vacation. 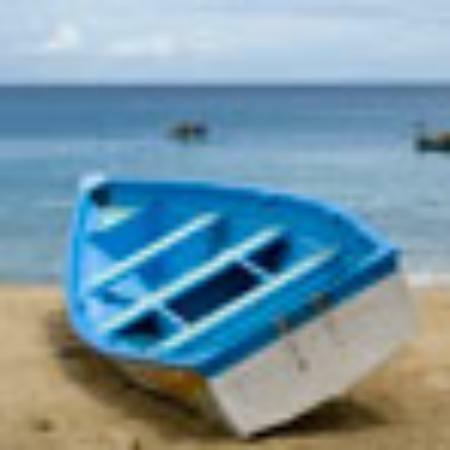 Our Housekeeping Fishing packages allow our guests to come and go as they please and not be on a schedule for meals. Our fishing packages generally run from Saturday to Saturday however 3 or 4 night stays are available upon request. Our cottages are fully equipped with a propane fridge, stove, oven, propane lights (electric lights in evening), all bedding, dishes, utensils, pots & pans, propane heater, decks with BBQ and a screened in porch overlooking the Lake. Lady Evelyn Lake is one of the last, large lakes in North Eastern Ontario that is still classified as being remote and is one of the best Walleye reproducing lakes in Ontario. It covers an area roughly 22,000 acres with over 450 miles of wilderness shoreline to explore and fish for Walleye, Bass and Northern Pike.